The activities of construction and reconstruction in Saint Martin have been really ramping up over the past five months, and it is totally legitimate that everyone wants to rebuild their homes and businesses. The island’s natural ecosystems, also impacted by the hazards of climate change, remain in bad condition and need revitalization. It is equally as important to avoid damaging them any further. 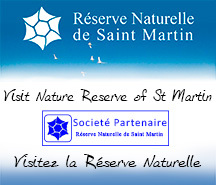 Contrary to common sense, it is also important to respect the regulations and to get solid advice from the appropriate services that have jurisdiction over the environment, such as UT DEAL Saint Barthélemy and Saint Martin at the prefecture. 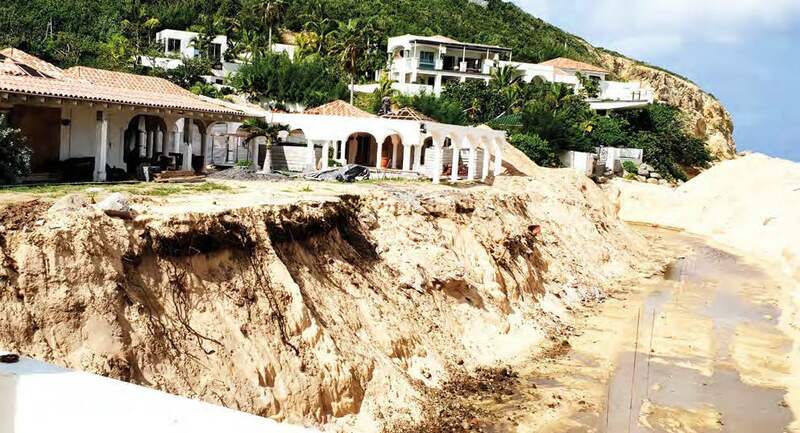 That’s what a villa owner in Terres-Basses should have done before starting work to rebuild a wall along the beach. This work led the builder to create a cavity more than three meters deep on a beach listed and identified as an egg-laying site sea turtles. In France—and this in Saint Martin —sea turtles, certain bird and plant species are protected, as are the habitats that shelter them. The destruction of sites with geological importance, or the natural habitats of non-domesticated animal species, and non-cultivated vegetation constitutes an offense, as noted in the environmental code. The responsible party risks a maximum term of two years in prison and a fine of 150,000 €. 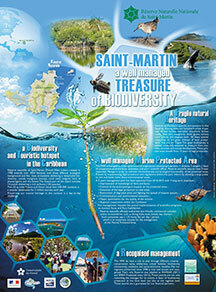 This regulation applies in all natural, terrestrial, and coastal zones in Saint Martin.